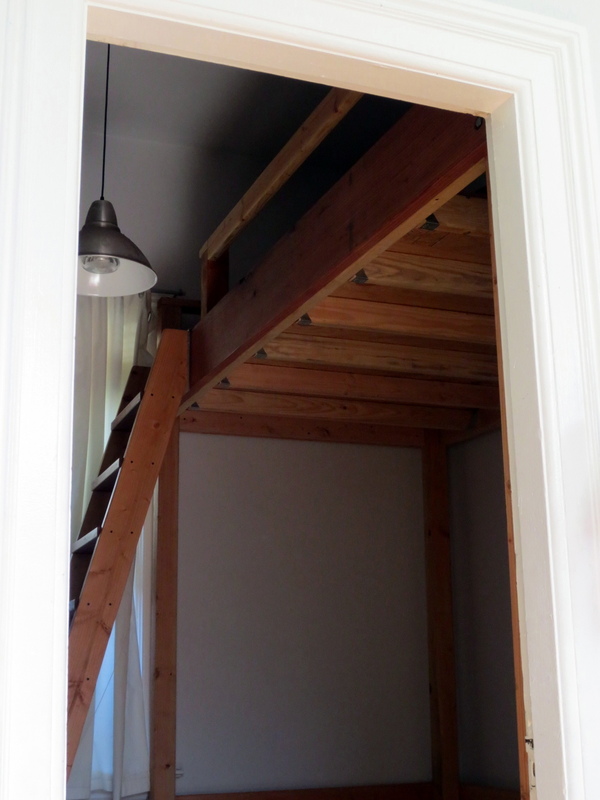 A housemate of Loft Bed # 1 commissioned us to build her this utilitarian fortress. It was designed to be tall enough for her to practice yoga underneath -- she can fully reach overhead. It is built entirely of Douglas fir framing lumber, with the exception of the ladder's redwood steps.